PROVIDENCE, R.I.,— Junior Achievement (JA) in partnership with Teach For America Rhode Island (TFARI) will host the seventh annual Education Awareness Week from April 8 -12. 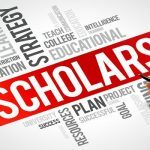 Education Awareness Week highlights the incredible work of educators who lead Rhode Island’s classrooms and schools; the potential that every student possesses for success in school and career; and the opportunity that all children deserve to realize their potential through a strong academic foundation. The week brings elected officials and business leaders from across the state to serve as guest teachers who will develop and lead special lessons based on their areas of expertise offering students a firsthand look into different career paths. This year’s celebration will focus on the foundation an excellent K-12 education provides for success in a student’s pathway toward college and/or career and will be kicked off with a special proclamation from Governor Raimondo. Junior Achievement and Teach For America collaborate on national and regional initiatives focused on partnering with communities to increase opportunities for students and eliminate educational inequity. Education Awareness Week is one example of this collaboration. On Monday, April 8, at 11am there was a Education Awareness Week Proclamation Ceremony at Rhode Island State House. 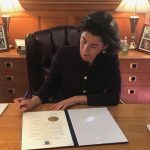 Governor Raimondo signs proclamation declaring officially the week of Education Awareness week in Rhode Island, with Lt. Governor Dan McKee alongside other state leaders, Kristine Frech, Executive Director of Teach For America Rhode Island, and Lee Lewis, President of Junior Achievement, will also offer remarks. Students from Mt. Pleasant High School will tour the State House and participate in a mock legislative session and job shadow activities with elected officials.